Consideration about the US and how sometimes you can find God in good chicken wings. Especially in Atlanta. Especially in Hooters. 2005 has been already my busiest (trip wise) year. I was in Atlanta just last February, but it seems that America can't live much without me. So, after another heavy sport weekend, here we go again: Sunday Afternoon, Heathrow Airport, destination Washington (I would later get my flight to Atlanta from that place). Choosing what to wear for a business trip it's always difficult. Basically I know I look good only in three configurations: military mode (browns, greens, blacks etc... they all look similar to me), sport mode and naked. 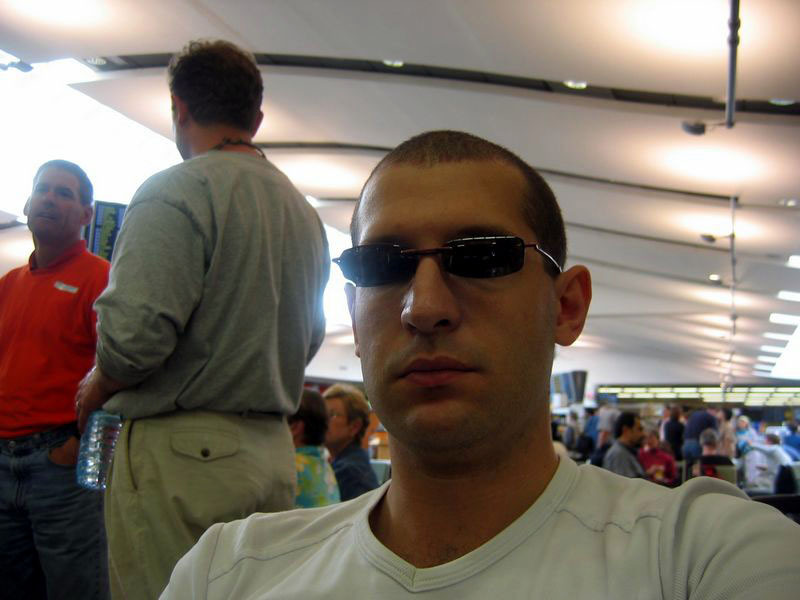 But you won't never get an upgrade to a better sit in the airplane talking with the check-in guys dressed like Rambo, Boris Becker, or completely undressed. This is way I always wear my business suite when I'm traveling. Unfortunately it gives me a Soprano look, and usually I don't get the respect I deserve and they never ever upgrade me. After some delay due to some random fire alarm that started annoying people and staff in the airport I boarded my plane, happily enough after realizing that not many people wish to travel on Sunday afternoon: most of the sits were empty. I checked the film list (first thing I always do) to get the first disappointment: no new, exciting, American film releases. Just a load of movies I've already seen (fantastic four, kicking and screaming) and a lot of films I didn't see because they were crap anyway (the wedding date, sisterhood of traveling pants, about a boy). I checked the food list, looking for some sort of menu, but I couldn't find any. The beat the jetlag going to the US the only working trick is to set your clock at the same time as the destination. So, flying to Atlanta, all I had to do was staying awake as much as possible. 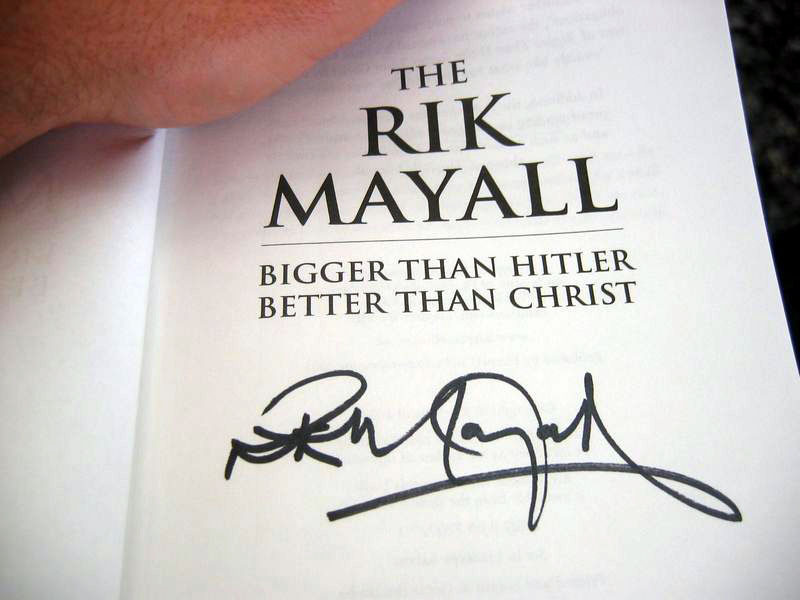 But without proper films and with only 150 pages left in the great book called "The Rik: better than Christ, bigger than Hitler" I realized I didn't have much chances. 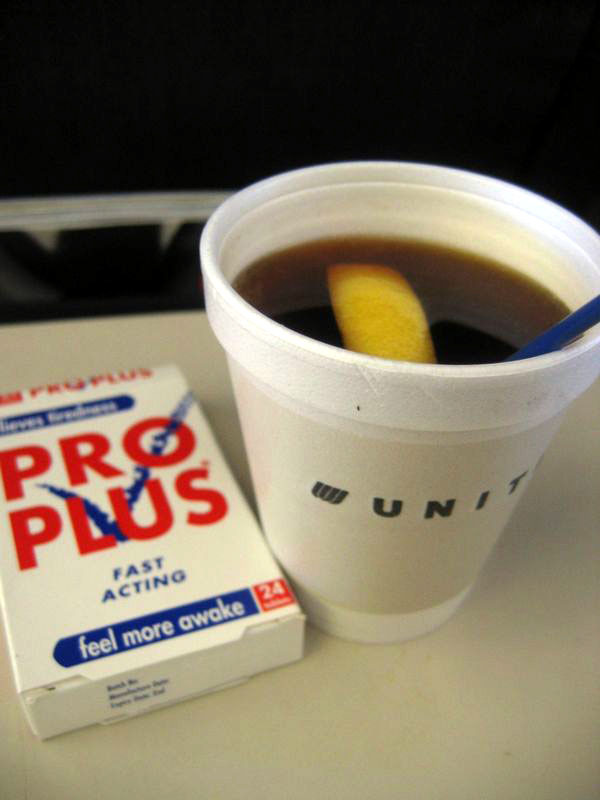 Fortunately I brought with me caffeine pills. Do not eat more than three in an hour. So I took 8. And I was wide awake. The trip was the usual long and boring experience. The food came in micro portions, with everything so small that sometimes I wonder if the airplane business is based on the conception that we are all traveling midgets. Well, we aren't, and we want more food. Even the drinks weren't free, like in the BA flights. No chance at getting drunk at �4 per cocktail! 9 hours later I arrived in Washington, and after some random checking on my personal baggage (it always happens, I must look like a criminal) I got another plane, this time small and smelly, to Atlanta. Once in the Georgia's capital, Johnny collected me and drove me to the place he's sharing with his girlfriend Liz, in Atlanta Midtown. The area looked really nice (one bar had an event called "Black lesbians night"! ), a bit too gay for my standards, and his flat, at the top of a five stores building, was really in a great position, with a nice view of the skyscrapers. The caffeine pills finally escaped my body through a midnight toilet break and I was finally ready to sleep, before starting a long week on work.